Today was one of the first really sunny days, so I had to take out a few colourful pieces. I espeacially love the skirt, as I always feel like life is a fairtale. The book is a compilations of the best love poems. 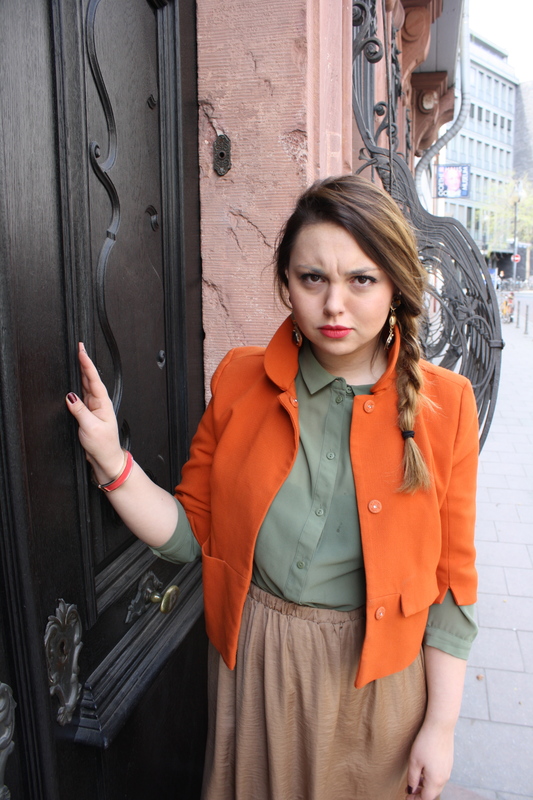 We shot the outfit in the city centre in front of the ‘Goethe Haus’, thinking it would be quiet and not too many people would be walking around. Well, halfway through a group of Japanese tourists came by and started taking pictures of the ‘Goethe Haus’, but ended up taking pictures of us during the shooting. You can not imagine how nervous we got! But we did it & had loads of fun. Therefore even my angry face isn’t that angry.. 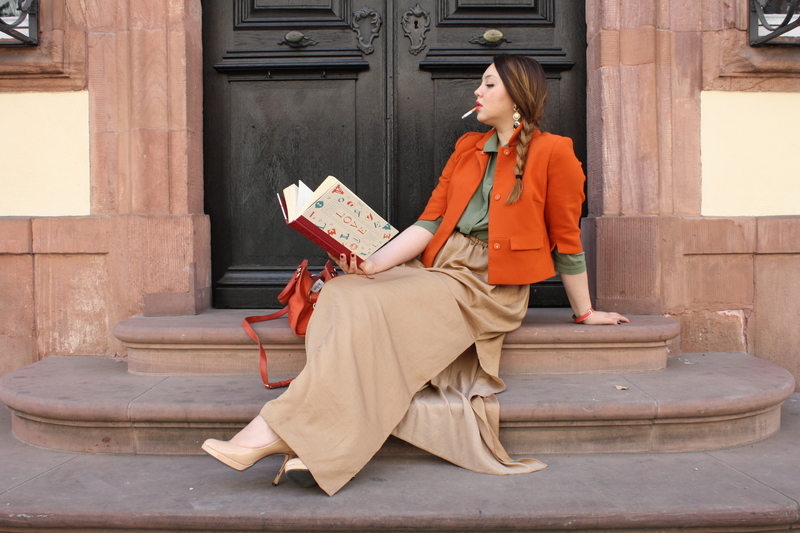 This entry was posted in Uncategorized and tagged Braid, Clothing, Colour Blocking, Fashion, Fashionblog, Frankfurt, Gold, Hallhuber, Photography, Shopping, Vintage, Zara by Garance-Amanda. Bookmark the permalink.